E-mailed item shows five homes owned by Senator John Kerry worth many millions of dollars? 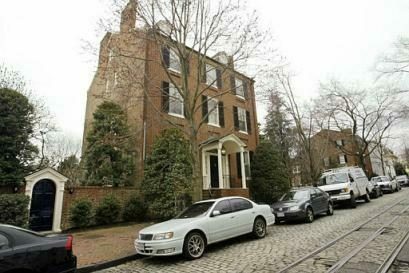 Claim: E-mailed item shows five homes owned by Senator John Kerry and worth many millions of dollars. Status: Multiple — see below. John Kerry, man of the common folk . . . he understands your pain, really . . trust him–dah, yeah–right! 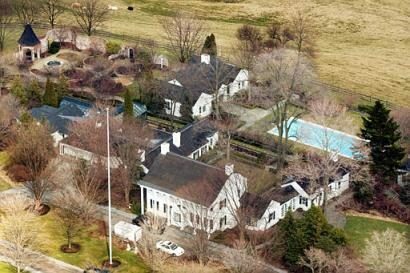 The many homes of Democrat Presidential candiate John F. Kerry. Total assessed value of all five homes = $29.4 million. Other foreign property ownership by John Kerry is unknown… because he denied repeated requests for this information. Please e-mail this information to all your friends, family and contacts. Please e-mail to at least 5 people. a Heinz family fortune estimated at over $500 million. A nine-room colonial home on a 90-acre family farm in Fox Chapel near Pittsburgh. This home is Teresa Kerry’s longtime residence, where she lived while was married to John Heinz and where she raised her three children. It is valued at $3.7 million. 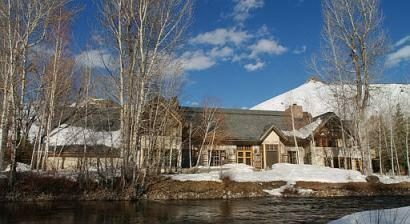 A ski/vacation home located near the banks of the Big Wood River in Ketchum, Idaho, fashioned from a reassembled barn originally built in England in 1485 and brought to Idaho by Teresa Heinz Kerry’s late husband. It was purchased for $4.9 million in 1988. 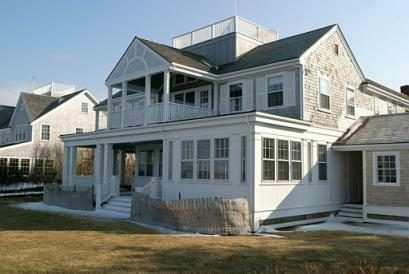 A three-story, five-bedroom waterfront estate near the Brant Point Lighthouse in Nantucket’s harbor, where John and Teresa Kerry were married in 1995. The beachfront property is valued at $9.1 million. A 23-room townhouse in the Georgetown section of Washington, D.C., valued at $4.7 million. The aggregate value of these five homes is roughly $29 million, but the claim that John Kerry “owns” all of these properties is problematic. John and Teresa Kerry signed a prenuptial agreement and have kept their premarital assets separate. 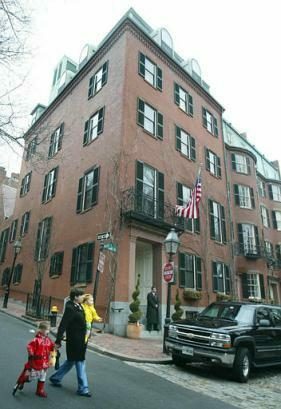 The Boston townhouse (which John Kerry mortgaged in 2003 to finance his presidential bid) is the only one of these homes that they own as a couple; the other four belonged to Teresa before her 1995 marriage to John Kerry, and some of them are even still listed under the name of her late husband. The Hollywood star George Clooney has parted company with his long-time agent in a dispute over the purchase of a historic £5m Italian villa. Clooney is reported to have been “incensed” when he discovered that Michael Gruber, who steered his career from the television medical drama ER to box office hits such as The Perfect Storm, had discussed a £175,000 fee for helping to arrange for the star to buy the house from Drue Heinz, the philanthropist. 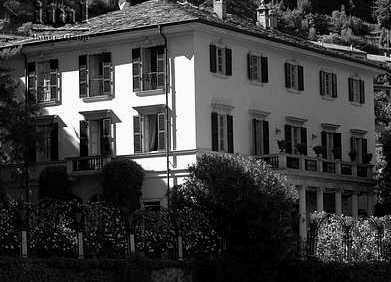 The widow of Jack Heinz, grandson of the American entrepreneur who first bottled 57 varieties of pickle, Heinz lives in Ascot, Berkshire, but in recent years she had turned the Villa Oleandra on Lake Como, north of Milan, into a writers’ sanctuary. Nathaniel Hawthorne, author of the American classic The Scarlet Letter, stayed there in the 1850s. Family illnesses persuaded Heinz to sell the villa, situated in the village of Laglio, where the neighbours include Donatella Versace, the fashion designer. The Boston Herald. 19 March 2004 (p. 20). The [London] Times. 27 October 2002 (p. 29). USA Today. 20 March 2004. Pittsburgh Post-Gazette. 30 November 2003. The Boston Herald. 25 Feburary 2004. USA Today. 22 March 2004.